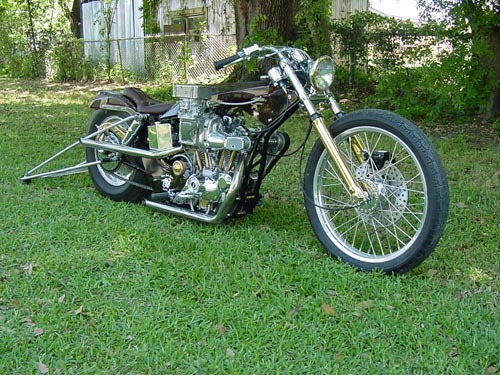 CHEAP SUNGLASSES … ’77 Sportster. Lite years away from ordinary; of another dimension, another space in tyme: The RSC Flagship. Pure, unadulterated, balls-out, star-trippin’ full-tilt BOOGIE from stem to stern! Ozone Marshals only! Kake-Walkers need not apply!